We had plans to head to the aquarium today. Alec has been asking to get back down there and see the fish. On the drive I got a text from my sister that she was heading down there with some of our old homeschooling pals from the southern end of the state that we haven't seen in quite a while. I handed the phone to my oldest and asked him to text back that we were already on our way. It was such a wonderful, unexpected bonus to be able to meet friends and family at the aquarium! When we arrived the lady walked us through their membership benefits and my boys were overjoyed to hear that we could watch a 4-D movie for free and get a free cookie from the cafe-- another wonderful bonus! We watched the beluga whales being fed, went to the ray tank to pet the rays, watched a 4- D movie called Earth from Pole to Pole then spent almost 30 minutes in the Titanic exhibit. Ian and Alec touch an "ice berg"
We went into the aquarium and went through the Amazon exhibit, the boys went from touch tank to touch tank and were able to feel or hold many marine animals including sand sharks, crabs, hermit crabs, shells, and the like. We saw a live baby shark still inside the mermaids purse moving around with it's placenta. We watched the sharks, sea lions, jellyfish and sea horses. We met up with my sister and their cousins and our friends and we explored the Titanic exhibit a bit more, saw all the penguins, sea lions, a hurt harbor seal, and spent our time walking all around inside and out. 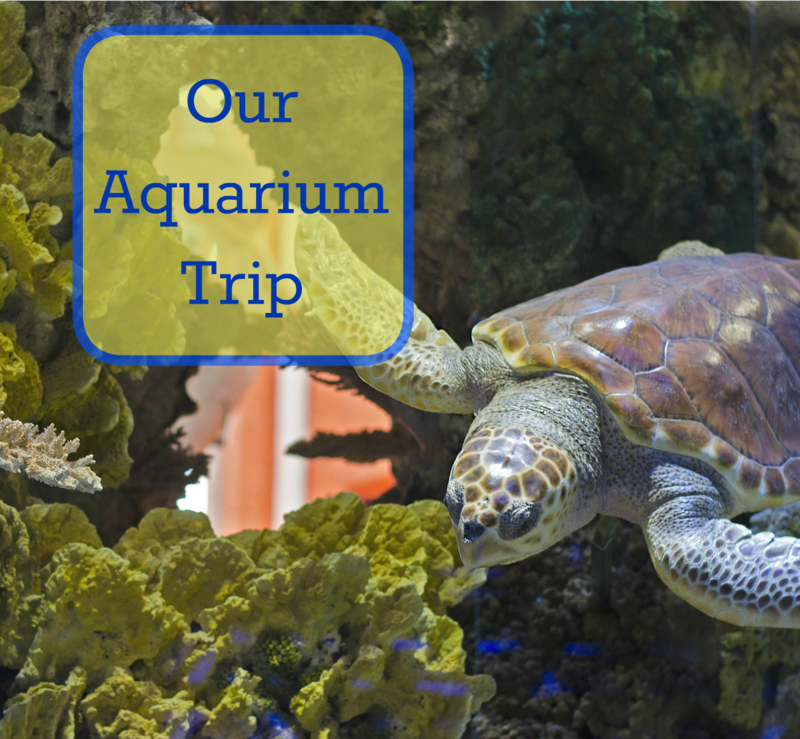 We covered the place multiple times but spent the most time at the touch tanks. We watched the California Sea Lion show-- twice (by request of my kids)! It was a great day. We were sad to leave, but we would never have been home for dinner if we stayed until closing. We listened two more Magic Treehouse books: Twister on Tuesday & Dinosaurs Before Dark on the way home and Ian came close to finishing his dot- to- dot page. Everyone looked pretty tired and I made them all shower when we got home. After having had their hands in sea water all day they had gotten their clothes pretty wet too and I figured it would be nice to get comfy in our pajama's and plan for an early bedtime. What a great trip for kids. I love aquatic life of all sorts, and used to have aquariums of both salt and freshwater fish. I haven’t been to an aquarium in years, thanks for the reminder, I should go. I find it so peaceful. I too find them very peaceful! I love the rippling blue water and watching the fish swim lazily around. They're great.